Strangeland officially made its way to the US Troops as Tech N9ne marked another career first with a performance in Bahrain as part of his first-ever USO tour. Having recently landed in the Middle East, Tech N9ne and Krizz Kaliko performed for hundreds of soldiers in Bahrain to kick off their string of six shows in eight days while overseas. Tech N9ne’s USO tour also includes taking photos with the troops and signing autographs. The first show looks to have been a resounding success with several updates coming from soldiers via Facebook and Twitter. Making a true impact with his audience of men and women in the service, Tech N9ne performed “The Noose” from Welcome To Strangeland. The touching performance was said to be one of the highlights of Tech N9ne’s performance in Bahrain, proving that the Kansas City King is on a mission to give the US troops the best show yet. Stay tuned for more updates as Tech N9ne and Krizz Kaliko continue on with their USO tour in the Middle East! 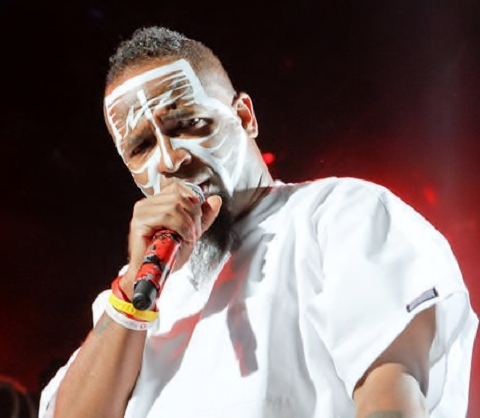 Watch Tech N9ne close out the show in Bahrain. Do you know anyone that watched Tech N9ne perform in Bahrain? Let us know in the comments below!